Paracha Electronics deals all kind of general electronics items. 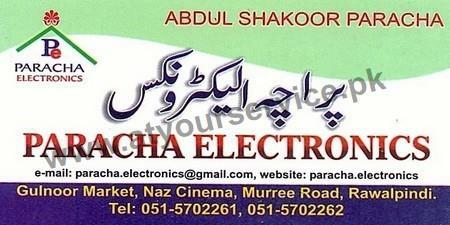 Paracha Electronics is located in Gulnoor Market, Murree Road, Rawalpindi. It deals all kind of general electronics items.